Youth Services seeks to encourage a lifelong love of reading in our younger patrons, from infants to teenagers. 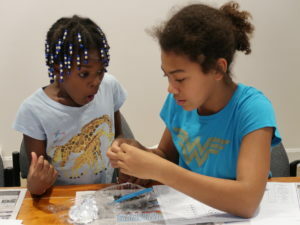 The library serves all patrons regardless of age, and hosts programs geared towards different age groups all year round. In addition to special programs that can be found on our web calendar, regularly meeting activities are listed below. For babies and young children, each week we will have a read aloud story and a fun craft kids can make and take home. 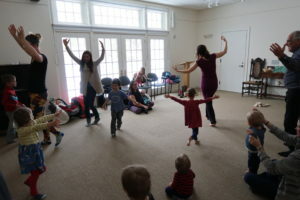 Playgroup for babies and toddlers, meets in the Howard Room. This is a great opportunity for parents and toddlers to connect with each other. Plenty of toys and light snacks are provided. Weather permitting, the playgroup will meet at the town park during the months of July and August. Kids of all ages are invited to the weekly Kids’ Chess Club. Participants of all experience levels are welcome. Kids ages 5 and up are invited to create anything within their imagination, and an optional special challenge will be provided. The Legos will be provided by the library and creations will be on display in the Larchwood Room for one week. The library will host a different craft project each month, no experience is necessary and materials will be provided by the library. All ages are welcome. 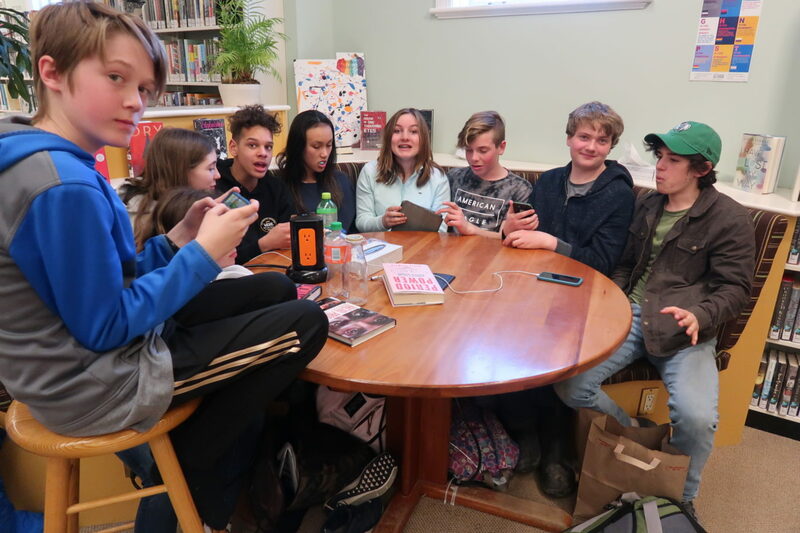 Each month, club members will read a different graphic novel to discuss thoughts on the story, art and work as a whole. Copies of the book are available in advance. 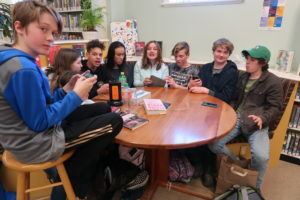 The library is a bustling after-school hangout space for teens and young adults, and hosts programs and events for teens on an ongoing basis. Patrons of the library can reserve a pass which entitles them to free admission to the Museum for one visit per day of up to four people. This is made possible by The Friends of the Library. Just call or ask at the circulation desk to reserve a pass! Digital Maine Library (formerly known as MARVEL!) is a collection of databases available free to all Maine residents. It includes journal, magazine, and newspaper articles, as well as a full-text online version of the World Book Encyclopedia, test prep resources, and special databases just for kids. Search hundreds of websites covering dozens of subjects recommended by The American Library Association and The Association of Library Services to Children.